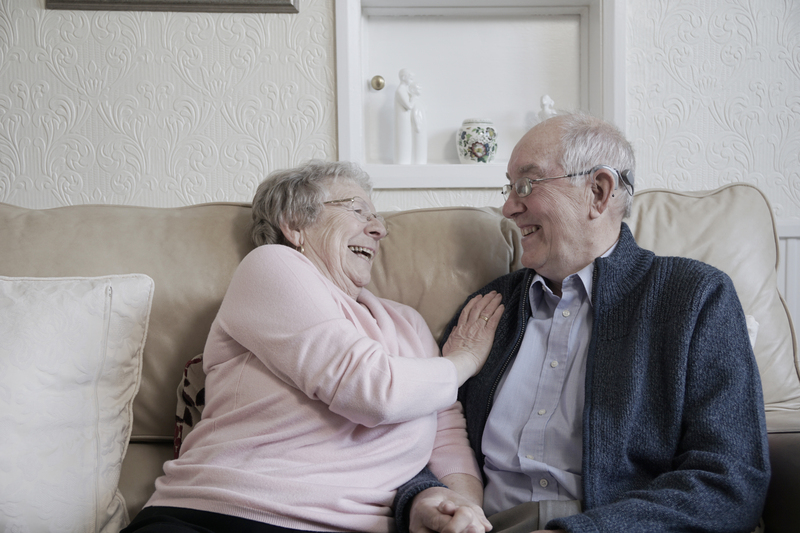 Jim and Anne have been married for over fifty years, and they’ve lived with Jim’s hearing loss for all that time. “It can be frustrating for others to have to repeat and repeat what they’ve said, and as a deaf person you tend to just not ask again,” says Jim. Jim recently upgraded from his Baha Cordelle II to the new Baha 5 SuperPower Sound Processor and he couldn’t be happier. “I’m more in the conversation than I was before, so it’s a benefit all around, for my family as well,” he continues. Anne’s happy with the upgrade too, and has seen Jim’s, and even her own, quality of life improve. “When we were in the car, and I’d say something as simple as “yes Jim, we need to turn left here” and I’d have to say that two or three times, whereas now we just have a conversation like normal people,” Anne explains. Jim’s new Baha 5 SuperPower gives him access to True Wireless technology so he’s able to enjoy listening to the football or the cricket at the same time he’s gardening, something he’s very pleased with, “I can switch the SuperPower to wireless and the reception is just incredible,” Jim explains. 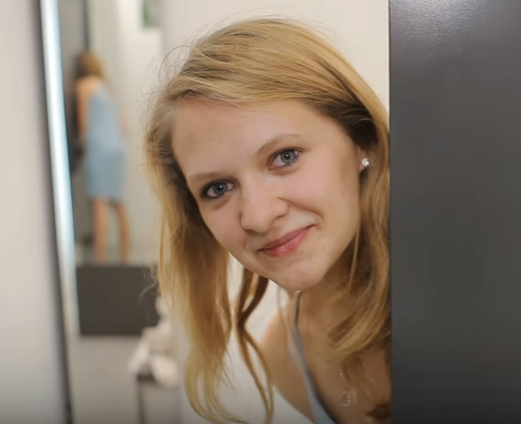 Here’s a video of one of the first Baha Attract users in Poland, Beata, who shares a clip of her daily life – shopping, singing, hanging out with friends. 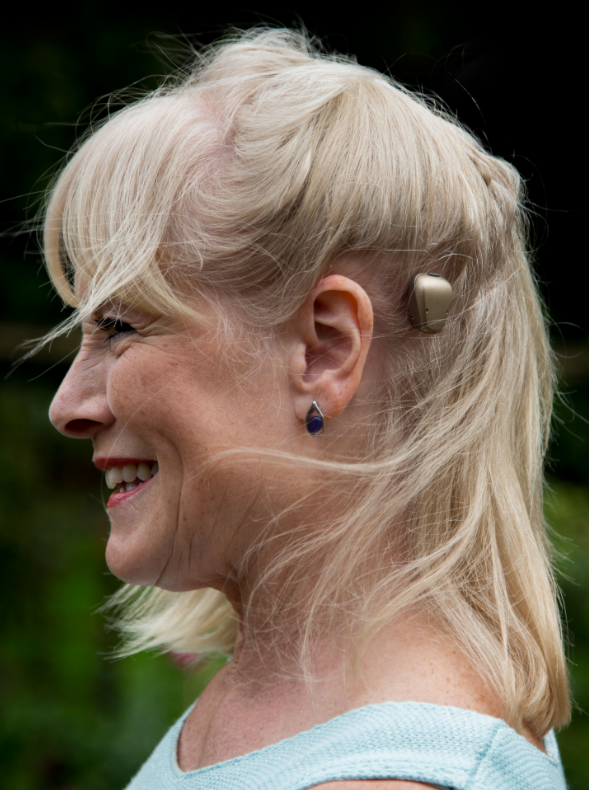 According to Beata’s parents, once they found out that the bone conduction hearing solution was going to be magnetic, the decision to get it was easy. For Beata it was important that it would look better. Once she has her sound processor off, the system is practically invisible since nothing is protruding through the skin. Her parents insist that they have noticed “major improvements” in their daughter’s hearing. “I can hear a lot better, and I don’t have this feeling that the sound eludes me, I can just hear everything!” concludes Beata. 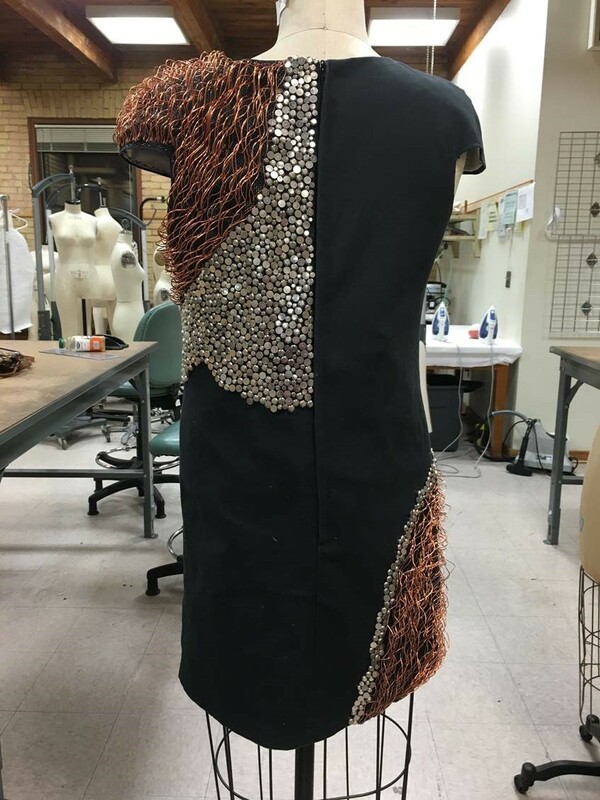 Lexine Schumm is an aspiring fashion designer and university student – who this year might have created the coolest dress ever! Lexine was diagnosed with single-sided deafness at the age of four, and has been using a Baha System since she was 12. Lexine just finished her sophomore year in the Apparel Design program at the University of Minnesota. This spring her studio class partnered with the Weisman museum on campus to create designs using non-traditional materials inspired by Andy Warhol’s concepts of self portraiture and how objects can shape a person’s self image. For her self portrait, Lexine, who was just upgrading to the Baha 5 Sound Processor, wanted to explore how her hearing loss has shaped her identity and how that could be represented in a physical way. Lexine designed a simple shift dress with copper wire, hand shaped to represent sound waves, wrapping around one shoulder and on the opposite hip, with hearing aid batteries creeping out from around the edges of the wire sections onto the rest of the dress. The materials were purposefully abutted but distinctly separate from one another to represent her split presence. While the shape is simple it projects strength and power in the simplicity of the shapes combined with the ornate surface treatment of wire and batteries. 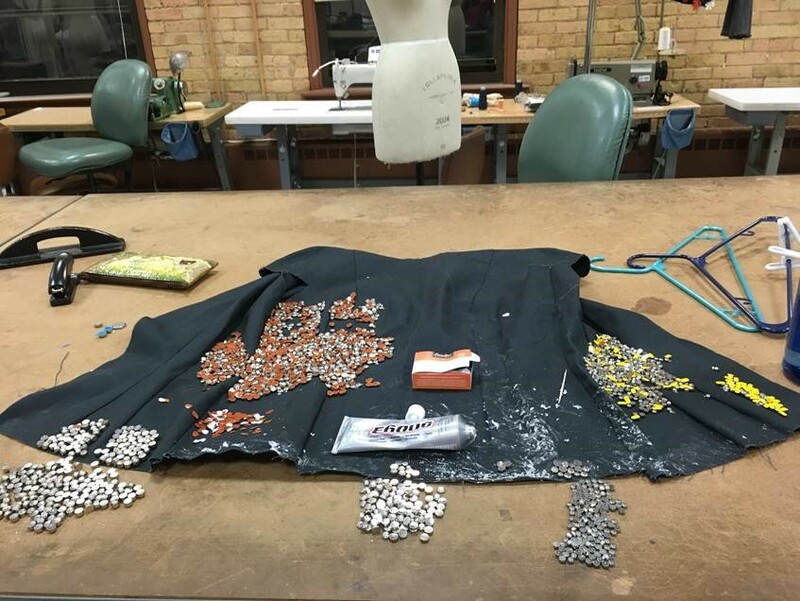 To create this dress she had to get her hands on hearing aid batteries – a lot of batteries. Her audiologist at the University of Iowa set her up with her two largest suppliers who donated over 30 pounds (14 kilos) of batteries. Lexine also called local medical supply stores and hearing aid centers in Minneapolis to make sure she would have enough of material. The dress will be on display in the (dis)Abled Beauty exhibit at Kent State University, July 29th 2016 – March 12 2017 https://www.kent.edu/museum/event/disabled-beauty. 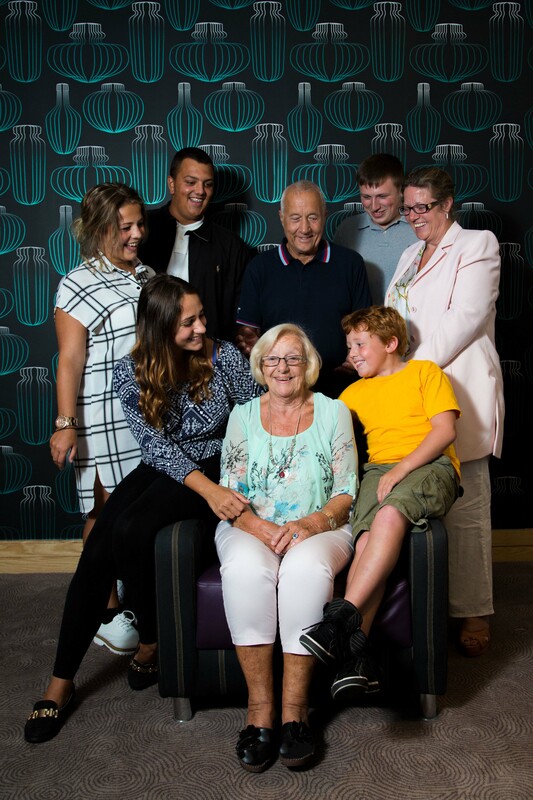 Last year we had the pleasure to visit Mrs Doreen Milne in Manchester, UK. 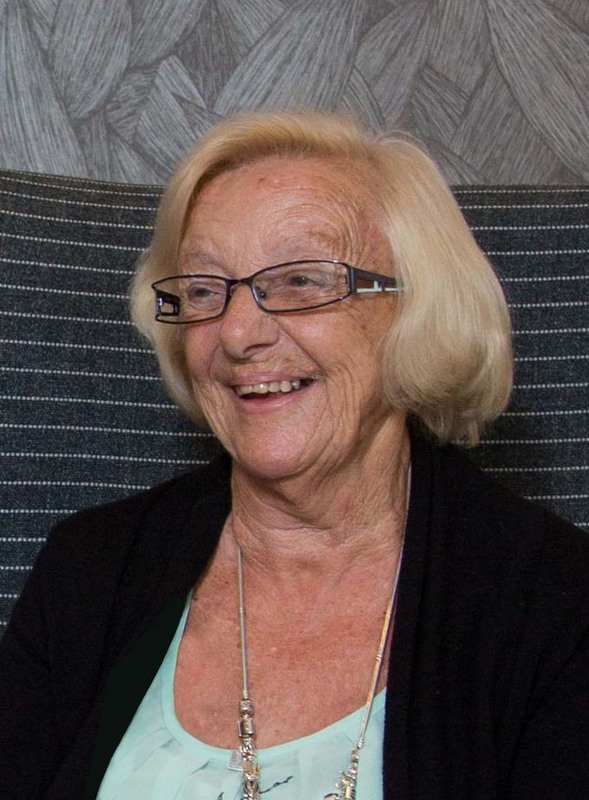 Mrs Milne is a lovely energetic lady who keeps busy together with her husband, friends, children and grandchildren. She goes to the gym three times a week and travels abroad with husband Derek at least twice a year. Their favourite holiday destination is Cyprus where they have a small house so the whole family can visit. Doreen has a severe hearing loss. 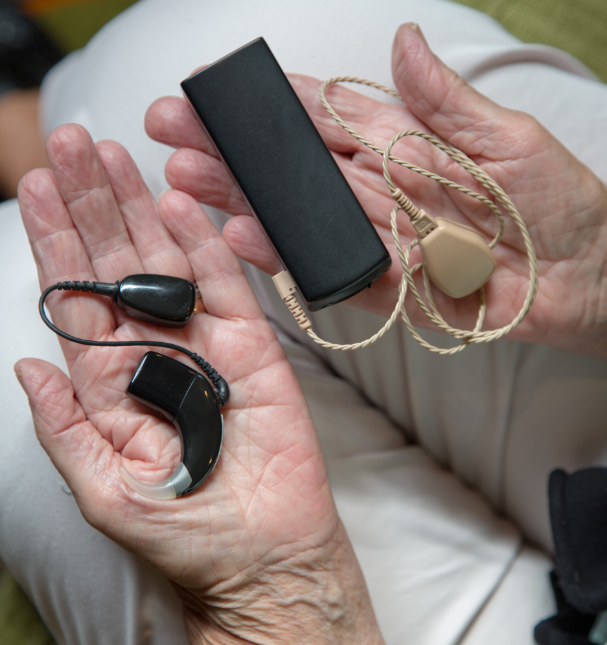 For the last couple of years she’s used the powerful Baha Cordelle II sound processors, designed for people with moderate to severe mixed hearing loss. As much as they do help Doreen in her daily life, the body-worn sound processors do feel a bit clumsy. Putting them on in the morning, cables and all, take a good ten minutes. The Baha 5 Family powers up! 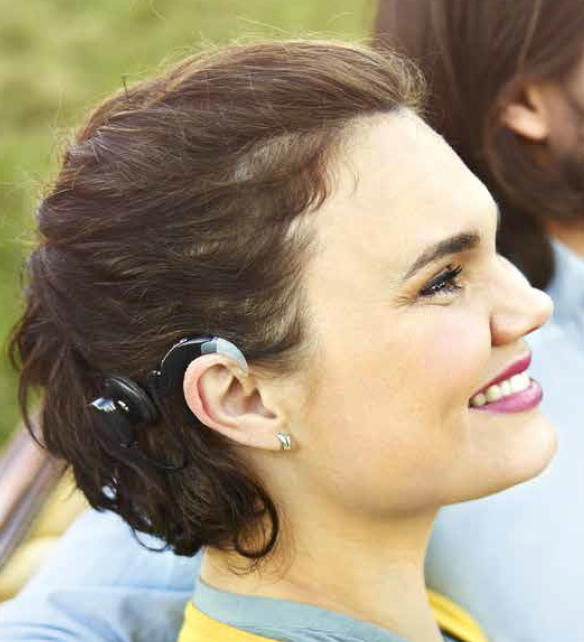 In 2015, Cochlear launched the Baha 5 Sound Processor. With True Wireless sound streaming and Made for iPhone technology, it is the smallest and smartest sound processor in the industry. However, we also wanted to give these benefits to people with greater hearing losses. So we took the small and smart – and made it more powerful with two new options: Baha 5 SuperPower and the all new Baha 5 Power Sound Processor. 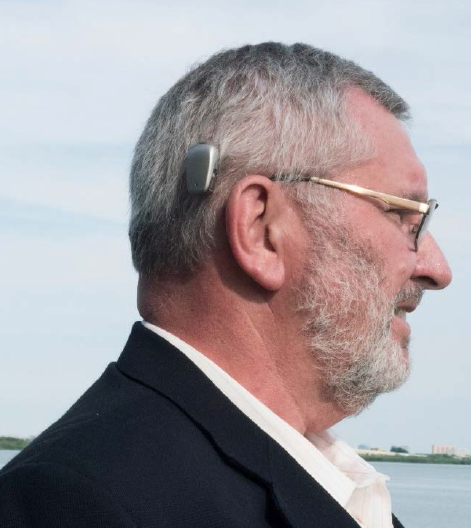 The Baha System is now the only bone conduction system to offer three head-worn sound processors, each one designed to meet different levels of hearing loss and individual preferences. “Incredibly small” is what many people say when they first see the Baha 5 Sound Processor. And it’s true. The award winning Baha 5 is 20% smaller than all other comparable sound processors – yet full of the most advanced hearing technologies. The Baha 5 SuperPower was regulatory approved in several countries earlier this year. It’s the first head-worn super power sound processor in bone conduction. Usually worn behind the ear, it also offers other wearing options designed to fit your unique needs and lifestyle. And finally – the new amazingly smart power sound processor, the Baha 5 Power, which gives you the amplification you need in every listening environment. Like the other two, it’s compatible with the unique Bluetooth® technology designed by Apple, and is a Made for iPhone Hearing Device that let you stream sound directly from iPhone, iPad and iPod touch. The Baha 5 sound processors can connect to a range of wireless accessories. The True Wireless range of devices let you watch TV without disturbing others, help you hear speech in noisy or crowded environments and can connect you to all types of electronic devices. The direct-to-device connections between each accessory and your sound processor have one thing in common – there are no strings attached. Surround yourself with the sounds you love! 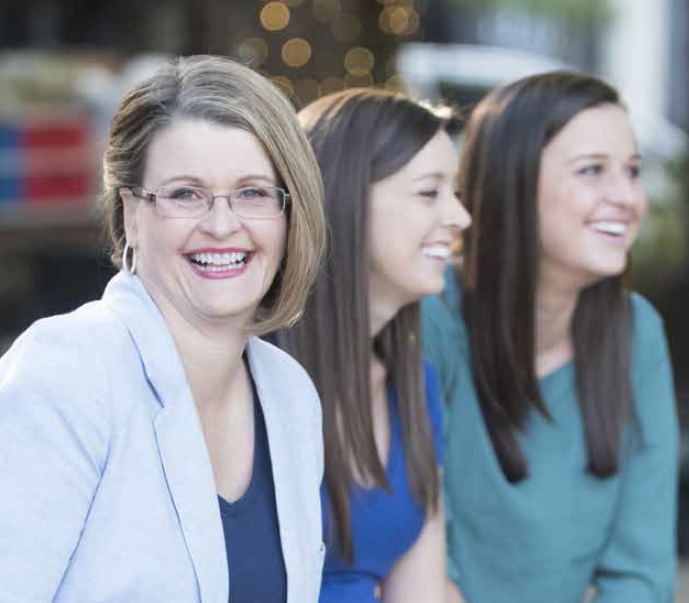 Your hearing care professional will recommend which system is best suited to your individual needs. 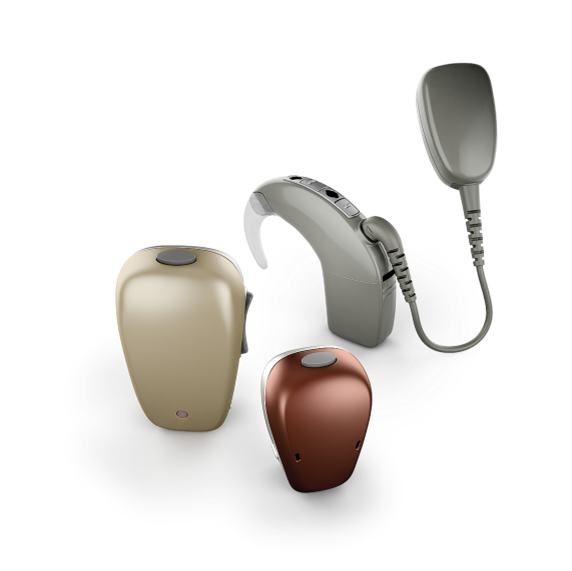 Cochlear presents… the smart and powerful Baha 5 Family!